To promote legal education and research the University is offering Integrated LL.M., Ph.D. Programme from the academic year 2017 – 2018. B.A., LL.B. / LL.B. / B.L. Degree or equivalent degree from a recognized University securing not less than 65% of marks in the aggregate. Candidates who already hold LL.M. degrees from other institutions can also apply. Four years. However in exceptional cases the University may for reasons to be recorded in writing permit the doctoral thesis to be submitted in less than four years. Candidates must also submit at least two letters of recommendations from individuals who have supervised their work in an academic or professional setting. Applications sent without the letters of recommendation will not be processed. Interested candidates can download the application by clicking here and the filled-in form should be sent along with the Registration Fee of Rs. 2000/- (Rs. 1,000/- for SC/ST), SoP, Writing Sample and the marks Statement of the qualifying examination. 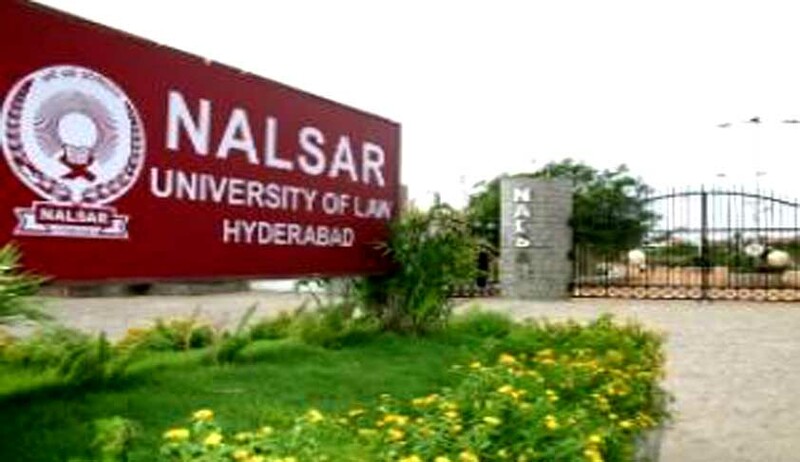 The Registration Fee can be paid by way of demand draft drawn in favour of ‘Registrar, NALSAR University of Law’ payable at Hyderabad. The Statement of Purpose (SoP) should be in 1000 words specifically mentioning why you want to join the said course. The writing sample may be a published research paper / article or a work-in-progress. The duly filled-in form along with all the relevant documents should reach the University on or before June 30, 2017. The written test will be conducted at 11:00 a.m. and the interview will be conducted at 3:00 p.m. on Saturday, July 15, 2017 at NALSAR University of Law, Justice City, Shameerpet. Applicants can also apply for this Integrated LL.M., Ph.D Programme through online mode by clicking here. For more details on the Course Structure and Research Stipend, click here.